Big Sky Basketball: Could Will Cherry Be The Big Sky Defensive Player of the Year? Could Will Cherry Be The Big Sky Defensive Player of the Year? With Brian Qvale, Montana had the best defensive player in the Conference last season. Qvale was one of the best shot blockers in the country last year, and set conference records on the defensive side of the ball. However, he is now gone, having graduated after four stellar years. But could the defensive Player of the Year trophy remain in Missoula after this year? Will Cherry of Montana looks to be one of the best defensive players in the Conference, and certainly the best at getting steals. 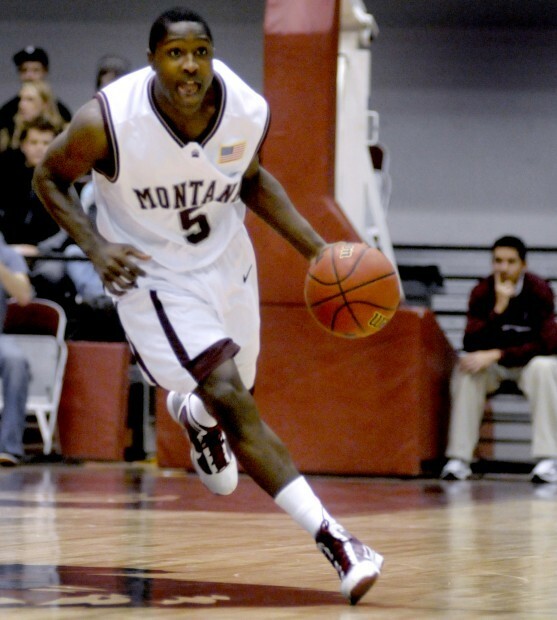 He had a 4.7% Steal rate last year, which was 14th in the country and best in the Big Sky. This gave him a solid 2.6 SPG, which was a big reason (along with Qvale) why Montana was the best defensive team in the Conference. That performance was definitely not a fluke either. The year before, as a sophomore, Cherry had a 5.2% steal rate, which was 2nd in the nation. He has a nose for the basketball, and this gives Montana a couple of extra possessions every game. Q. You lead the team in steals. What's the key to getting steals? A. Oh, man, I'm just a big anticipator. I just have a knack for getting the ball and knowing where it's at. I use my speed and quickness to my advantage to jump in those passing lanes. That was one of the goals for myself and (assistant) coach (Bill) Evans, for me to lead the team in steals. What do you all think of Cherry's chances?